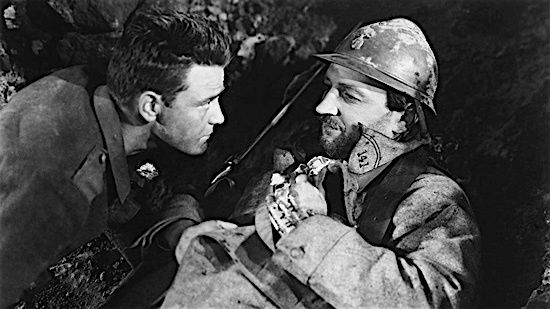 My latest from Paste Magazine is a look at the two major adaptations of All Quiet on the Western Front, in honor of the century that now separates us from World War I. The Great War is a kind of subject of fascination for me, because it really is the height of folly. It’s everything we all hate about humanity, and the terrible people who we agree to allow to lead us. It was so bad that we don’t tolerate any kind of true monarchy anymore. It made the heads of state realize that if we didn’t agree to specifically pull our punches, we could end humanity. I think those of us who ponder these things really look back at it and feel afraid that we didn’t truly learn anything from it. This was a difficult viewing for me, especially the 1930 version I detail in the article, blissfully ignorant as it is of just how terrifying the scenes of dumb, eager white boys gleefully signing up to wear fancy uniforms for no real reason would look a scant six or seven years later. A really great video series on the debacle that led up to the war comes to us courtesy of Extra Credits, and you should totally watch the whole four-part series.